FOR 97 years, Private Edward Henry Pratt lay in an unmarked grave in Darlington’s West Cemetery. But on Wednesday, that wrong will be righted: this soldier of the First World War will be properly recognised when an official headstone is dedicated after brilliant work by the Aycliffe Village Local History Society. 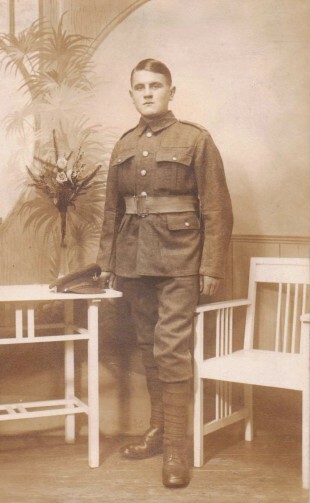 Pte Pratt was born in Cockerton, but when the war broke out, he was living in Aycliffe and working as a quarryman. He joined the Durham Light Infantry, and was injured at least twice while serving on the Western Front. The first time he suffered “mild” gunshot wounds to his leg and neck; the second time, his right shoulder was peppered. Still he fought on, but in 1918, his injuries caught up for him and the previously fit labourer was discharged on May 21 because he was no longer fit for service. His suffering, though, intensified and he passed away in Darlington’s Greenbank Hospital on September 15. The notice in The Northern Echo said simply that he had “died of wounds”. 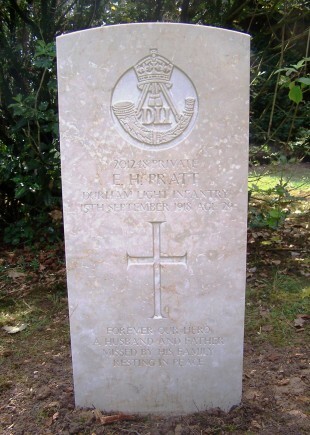 But because he had died a civilian, he seems not to have qualified for an official headstone. And because he left his wife Margaret with four children under the age of five, there was not enough money in the family kitty to mark his grave. At least, though, he was recognised on the Aycliffe village memorial which was unveiled on October 11, 1922. Perhaps his widow, Margaret, saw it unveiled as she still lived in the village; perhaps she was too ill to attend, as 11 days later, at the age of 33, she died, leaving the children as orphans. And so the grave remained unmarked. In fact, when members of the history society came to research all of the names on their local war memorial to commemorate the 100th anniversary, they couldn’t trace his descendants. So they appealed for help in Memories 166 – an edition that reduced Margaret Prest in Darlington to tears. She is Pte Pratt’s grand-daughter; her mother, born in 1916 when he was at the front, had never known where her own father was buried. With Margaret’s support, the Aycliffe society – principally David and Elizabeth Lewis, Harry Moses and Vivien and David Ellis – applied to the Commonwealth War Graves Commission to have the grave formally marked. After many months of anxious waiting, the Commission agreed, and the stone was installed earlier this summer. “It is fabulous what they have done and I’m so grateful,” said Margaret. On Wednesday at 11.15am, in the presence of the mayor and MP, the headstone will be dedicated and Pte Pratt’s sacrifice will be properly honoured. All are welcome to attend the ceremony.